The bio-ink can be successfully expelled out of the printer in concentric circles in the shape of a cornea in less than 10 minutes, according to a paper published in Experimental Eye Research. By taking the dimensions of the patient’s actual cornea with scans, scientists can use the data to print a cornea that matches its size and shape. 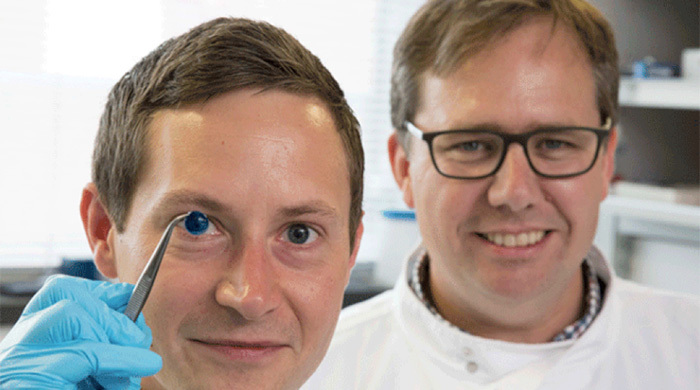 The 3D printed corneas will now have to undergo further testing but it is hoped the technique could be in regular use within five years. Currently around 10 million people worldwide each year need surgery to prevent corneal blindness, and another five million already suffer total blindness from corneal scarring caused by burns, lacerations, abrasion or disease. This entry was posted on Tuesday, May 29th, 2018 at 8:25 am	and is filed under 3D, printing, technology. "WIde-format Printer With Latex Inks From HP"